Is the Tiny Palm Phone the Start of a Big Trend? This week saw the unveiling of a diminutive Android-based smartphone designed to be used as a secondary device. The small phone, called simply Palm, is marketed as a device for workouts and evenings, as well as a way to take a step back from smartphone dependence. The name Palm may tug at the nostalgic heart strings of those who remember the original Palm PDAs, and that’s certainly the intention, but in reality there’s little connection between this Palm and the one from the 1990s. 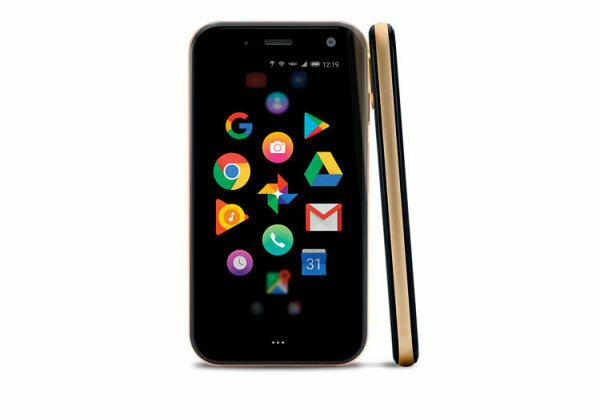 This new Palm incarnation is backed by TCL, which acquired the rights to the Palm trademark from HP in 2014. Another notable investor in the start-up behind the phone is NBA superstar Stephen Curry. He is also an adviser to the company on marketing, usability and social strategy and will act as a “brand ambassador” for the Palm. He’s expected to wear the device during pre-game warm-ups and workouts with the Golden State Warriors, providing some high-profile exposure for the phone. The Palm device has a 3.3-inch display, a size which makes it look like a child when placed alongside most current smartphones. (As a reminder, the original iPhone from 2007 had a 3.5-inch display.) The Palm also has a 12-megapixel rear-facing camera and an eight-megapixel front-facing camera, 3GB of RAM, 32GB of on-board storage and an 800 mAh battery. This is not a powerhouse but a device that makes its size a virtue. The device also offers a Life Mode feature that will be one of its key selling points. The feature turns off all connectivity when the device goes to sleep, so that notifications will not pop up until a user reactivates it. It could be the start of a digital detox session for many users. This Palm isn’t designed to replace a smartphone. Rather, it’s described as a companion device for instances when users would prefer not to carry their regular smartphones to the gym or dinner. In fact, for now it can only be used as a secondary phone and only on Verizon’s network, where subscribers must activate it using the carrier’s NumberShare service which syncs one number across two devices. At $349, the device is not an inconsiderable cost given it has to be purchased in addition to a primary smartphone. Furthermore, there’s a monthly service fee of $10 for Verizon’s NumberShare service. This is in line with the additional cost associated with a cellular-enabled Apple Watch. In many ways, Palm is a unique device. Nonetheless, it still has direct competition, particularly from cellular-connected smartwatches from Apple and Samsung, which are helping to create a market for secondary devices. Given smartphone saturation in most developed markets, network operators are eagerly looking for opportunities to add more lines to existing accounts. Palm looks like it’s a cute smartphone, both in its size and simplicity. And it’s always refreshing to see a device hit the market which dares to be a little different. Now the big challenge will be whether people are prepared to make the investment in a companion device. We fear it could be a tough sell, but one thing you can say about this product is that the brand certainly fits the palm-sized concept.